At Gallatin Subaru, we want all visiting Montana customers to make an educated decision before leasing or buying a vehicle from our Subaru inventory. No member of our staff is ever going to push you into financing a Subaru by using fancy automotive jargon or aggressive salesman tactics. Instead, we will let the accomplished history of Subaru to do the persuading for us. Our Gallatin Subaru team will be present to answer questions, offer guidance when requested, and do what we can to make your Bozeman Subaru journey as successful as possible. A big part of being a supportive sales team is providing our customers with all the essential information for them to reach the right conclusion. For families around Montana who are seeking a larger, three-row SUV, Subaru offers the latest 2019 Ascent. However, as SUVs continue becoming more popular, more models will present a seating opportunity for eight passengers. One of these models belongs to the Honda line: the 2019 Honda Pilot. 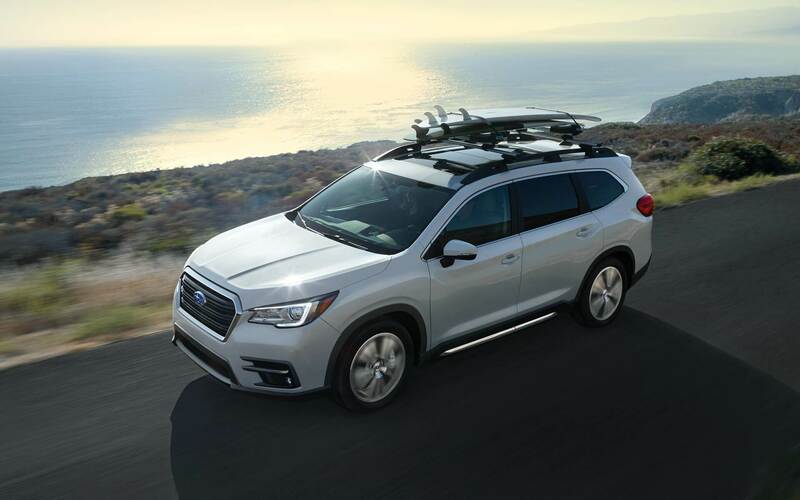 With similar cargo capacity and seating as the 2019 Subaru Ascent, you may be viewing both as potential fits for your family. To uphold our promise on providing as much detail as we can to lead your family to the best-suited SUV, we're going to show you how the 2019 Subaru Ascent surpasses its Honda competitor. If your family enjoys spending time together through adventurous activities like camping, boating, or picnicking in the beautiful Montana landscape, you'll find that the Subaru SUV is more suited for taking your family off the beaten path to create new memories. You'll soon see what we mean. If you want an SUV that can go the distance and deliver you to a place you never thought was reachable by vehicle, you can't outmatch Subaru. Its craftsmanship alone centers on promoting off-roading abilities. The standard combination of Symmetrical All-Wheel Drive, Hill Descent Control, 8.7-inch ground clearance, and friction-friendly X-MODE allows your 2019 Ascent to travel down various surfaces with ease. The Honda Pilot only offers standard all-wheel drive on one trim and sits 7.3 inches from the ground. In the Premium, Limited and Touring trims in the Subaru Ascent, only leaving out the base trim, you'll have 5,000 pounds of towing capacity to boost the possibilities of your family outings. It's the 277 pound-feet of torque in the SUBARU BOXER® engine that makes this happen. The Honda competition manifests less torque, which means a smaller towing maximum. It's becoming clear that if you elect the 2019 Subaru Ascent, you can become one with nature. Performance is the main advantage that sets the 2019 Ascent apart from its Honda competitor. The ability to haul a heavier cargo load and get into the thick of it with the thrill of off-roading are two assets your family would love having in an SUV. When you're loading up to go on another family road trip, there will be 19 holders for beverages instead of only 15 in the Honda Pilot. You'll also have standard tri-zone climate control so that every grouping of passengers can warm or cool themselves as needed. When you elect Subaru, no matter where your family travels, you'll have standard EyeSight® Driver Assist Technology with you. By serving as another set of eyes, your family will have peace of mind that stems from the benefit of Adaptive Cruise Control, Lane Keep Assist, and Pre-Collision Throttle Management and Braking. This safety measure is exclusive to Subaru, so you know you won't find it in the Honda Pilot. Both SUVs may seat a total of eight passengers, but there are certain abilities where the Honda Pilot falls short of what the Subaru Ascent can do. A design highlighting off-road performance is a design that could turn your family bonding from the same-old routine to a once-in-a-lifetime-style adventure. 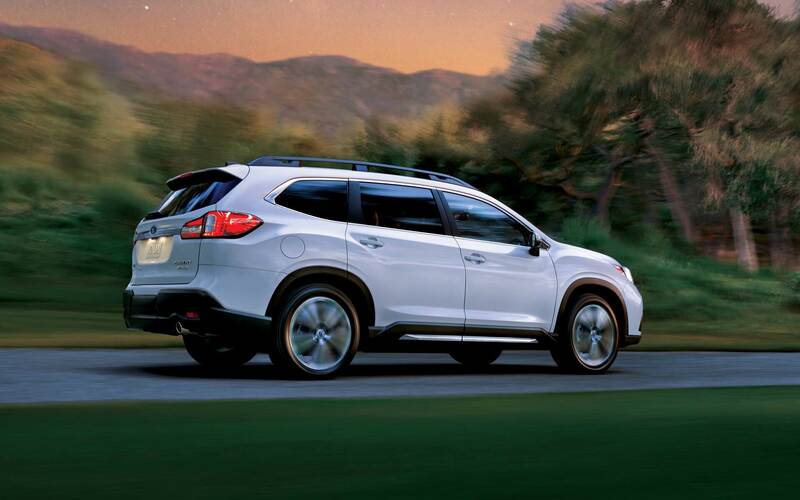 The first step in deciding whether the Subaru Ascent is a good fit for your family is driving over to your local Montana Subaru dealer to take the 2019 Ascent for a test spin. Bring your family with you when you do. We'd love to meet them and so would the 2019 Subaru Ascent.